Prestige is important, especially amongst officers. 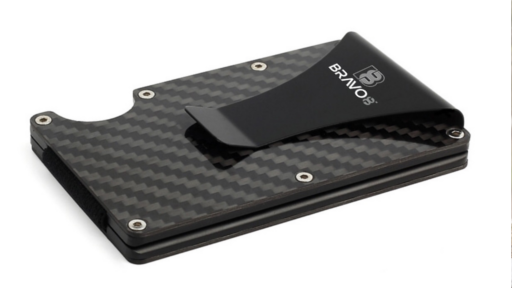 Professional, Stylish, and Secure are the words that describe the Officers Carbon Fiber Money Clip with RFID technology. 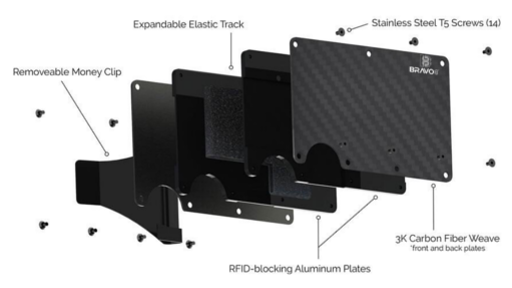 This expandable credit card protector is constructed with carbon fiber, has a stainless steel cash clip, and is equipped with Military Grade RFID protection. 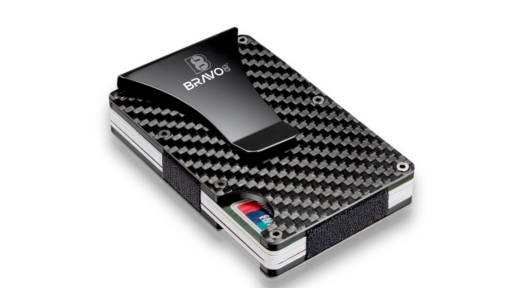 Bravo8’s redesigned Carbon Fiber Officers Wallet utilizes the highest military grade twill weave carbon fiber to enhance the active protection against the most powerful credit card readers thieves use. Therefore this is one of the very few men’s wallets that is truly ANTI-THEFT 100% RFID BLOCKING. Finally you can look stylish and stay smart knowing your personal banking information is secure, and still have up to 12 credit cards in this bad boy. 1. ANTI THEFT 100% RFID BLOCKING. Utilizes the best Military Grade Twill Weave Carbon Fiber to enhance the Active protection more than any other brand – also provides the highest level of enhanced protection against the most powerful CC Card readers. 2. EXPANDABLE DESIGN FOR UP TO 15 CARDS - The Officers Wallet by Bravo8 expands automatically with elastic bands and also automatically adjusts the capacity to the amount of cards that you have. 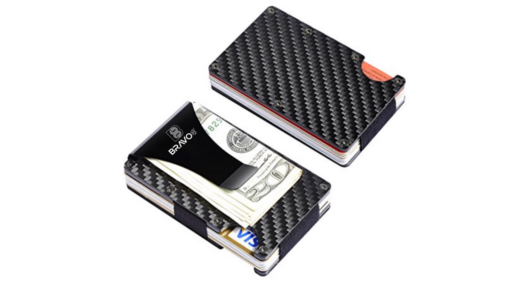 Features a black coated stainless steel money clip to hold your cash, and your cards are protected from scratches with smooth black anodized brushed aluminum - meaning that your cards slide easily in and out upon command. 3. 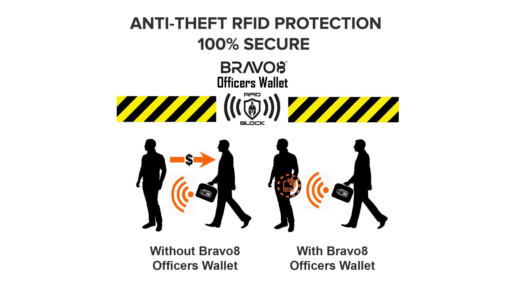 NO MORE BULKY WALLET - The Officers Wallet by Bravo8 can reduce your entire wallet to the size of a simple credit card, where the convenience is truly life changing with a stylish, sleek, and profession design. 4. REAL CARBON FIBER - Used by military for stealth technologies means that our Officers Wallet has excellent RFID blocking capabilities and has an incredible high strength VS weight ratio. High Strength to weight ratio, It is Lightweight , Fire resistant and is also anti-corrosion. Don't be fooled by the cheaper fake carbon fiber offered by our competitors, buy with confidence.